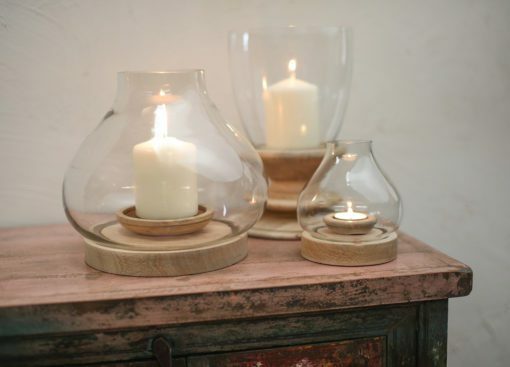 This stylish Naryla lantern has a glass bulb shape that sits perfectly in a solid mango wood base. 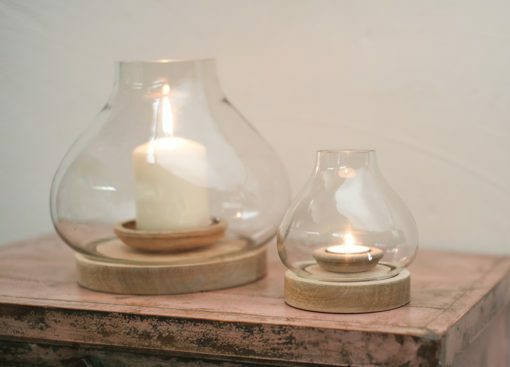 The elegant contrast of natural wood and recycled glass work beautifully together, creating a lantern that will sit well in any home. The practical glass surround makes these suitable for outside use. 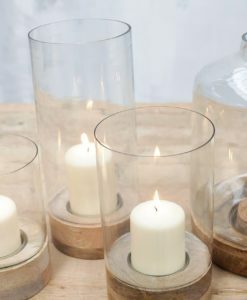 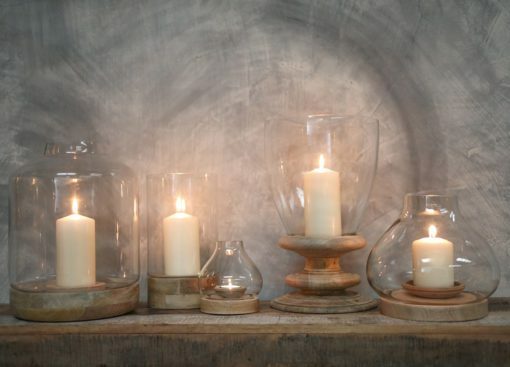 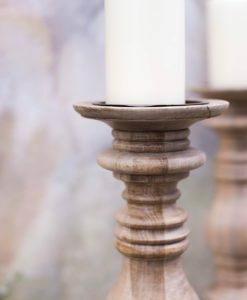 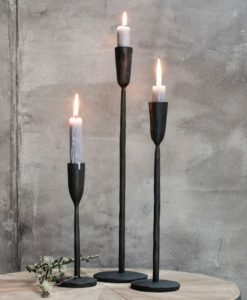 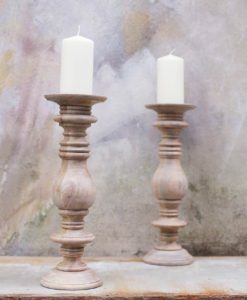 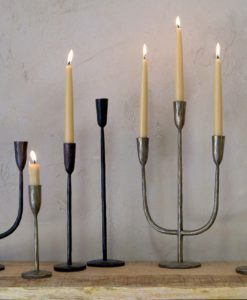 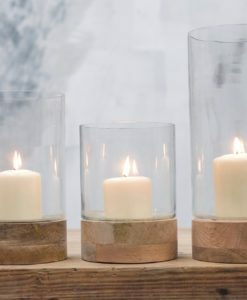 We stock a wide range of candle holders. Click here to view the whole range.